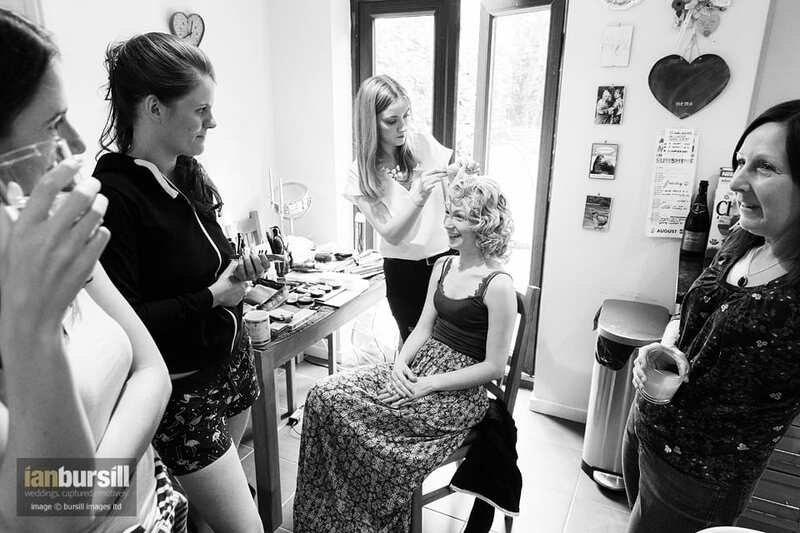 There are 15 minutes that are vital for wedding photographers on a wedding day. They’re crucial in helping their subjects feel comfortable with them as their photographer. Okay, not every photographer will share my view on these 15 minutes that are vital for wedding photographers, but due to the way I document a wedding, they are certainly the most important minutes of the day if I’m to be successful. Am I talking about the 15-minute ceremony? No. Then I must mean the 15 minutes of bride & groom portraits? Relaxed and informal, these are the images taken while the guests are taking their seats for the meal. It’s often the first chance of the day for my couples to catch up with each other. No, those are not the minutes I’m talking about either. I’m talking about the essential groundwork that needs carrying out before I press a camera’s shutter on the day. Imagine for a second. You’re a couple, and you’re getting married. You’ve booked your photographer. You may or may not have met them before the wedding as the internet has made the hire of professional services much easier. Couples often live long distances away from their venue and will book a photographer without meeting. If you haven’t met, are you going to feel comfortable meeting them for the first time on the morning of your wedding? Even if my couples have booked me blind, I’ll ask to meet 5-8 weeks before the main event. We can do this via Skype video or a FaceTime chat if meeting up in person is an issue for some reason. The meeting is for running through timings and plans for the wedding day. It’s also an opportunity to get to know each other better and to find some common ground. So in my case, I will always have met my couples before the day – even if it’s online. We’ll have built up a rapport, and I’ll have explained my approach, which is vital in getting natural and emotive results. So, all well and good with regards to building up some common ground between myself and the bride and groom. They’ll now feel comfortable with me being around on the day. As a storyteller, my coverage starts on a wedding day with the preparations. 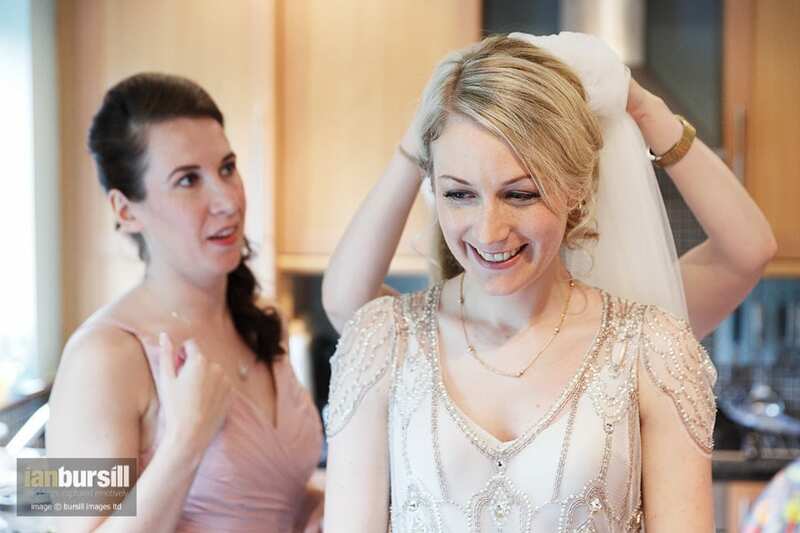 I love to document the transition from girl to the bride. On her wedding day, she’ll be more nervous than those previous times we’ve met. Also, remember that the bride isn’t going to be the only person present during her preparations. There will likely be bridesmaids, parents, relatives, makeup and hair professionals there as well. None of these other people will have met me before (unless I’ve worked with them before at other weddings). Some will be in dressing gowns and curlers, some will be eating breakfast. They won’t know me from Adam – even if I’ve met my couple a hundred times before. A room of young females are not likely to feel comfortable with a complete stranger taking pictures. Especially if he doesn’t take some time to build up some rapport with them. These are the 15 minutes that are pivotal to getting results from this intimate part of the day. I’ll often walk in without my cameras. If I have them with me, I’ll put them down. I’ll chat with parents, the bridesmaids, the other vendors. Have a cuppa. Have a giggle. Find some common ground and build on it. Talk about my family and their family. The more people present, the easier this is. And the more outgoing they are, the easier it is. I’m not shy, but I am an introvert, so this part of the day is a real challenge for me, but I feel it’s essential if I’m going to get the right results. After a short while, you can begin to see the barriers drop. People will feel more relaxed in my presence, and I’ll be able to pick up a camera and start to ease myself into the day. Maybe my approach is a two-way thing because it also helps me in feeling comfortable, relaxed and a part of the proceedings. A win-win situation for all involved. The rest of the day, I’ll blend in quite easily. People expect to see a photographer in a church at weddings. They’re focused on the ceremony, not on me, and I don’t draw attention to myself as I work quietly, patiently and respectfully. I’ll lose myself during the reception by working close in. I’ll mingle with the guests, often stopping to chat for just a short while and to provide cover and assist with blending in. I’ll work low down, between the tables during the speeches. People are more interested in the jokes, the heckling and the free-flowing wine than the photographer. And when it comes to the dancing, most guests will be too loosened up to care about me. I’ll be on the dance floor with them capturing their fancy moves. But those first 15 minutes. They are the foundations on which I build my narrative approach. And the result? Natural, emotive and timeless photographs. Kids at Weddings Wedding photography restrictions, speak to your officiant! 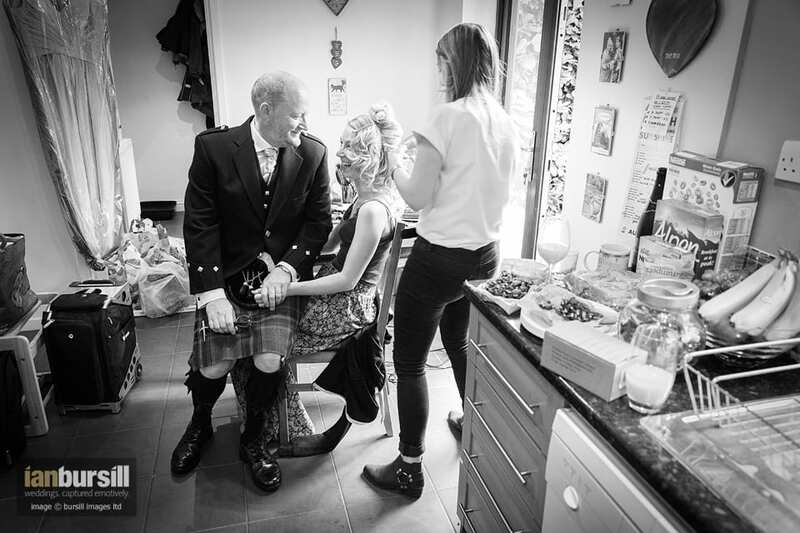 So… why did you choose to shoot documentary wedding photography? 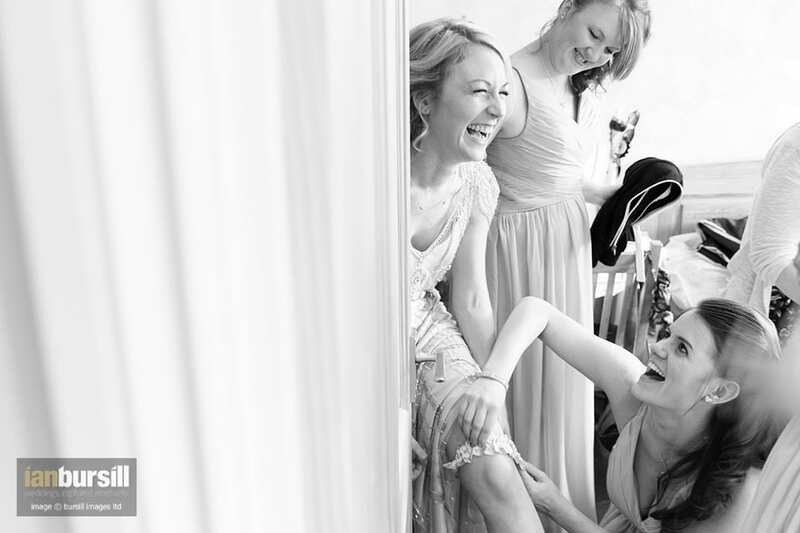 So... why did you choose to shoot documentary wedding photography?